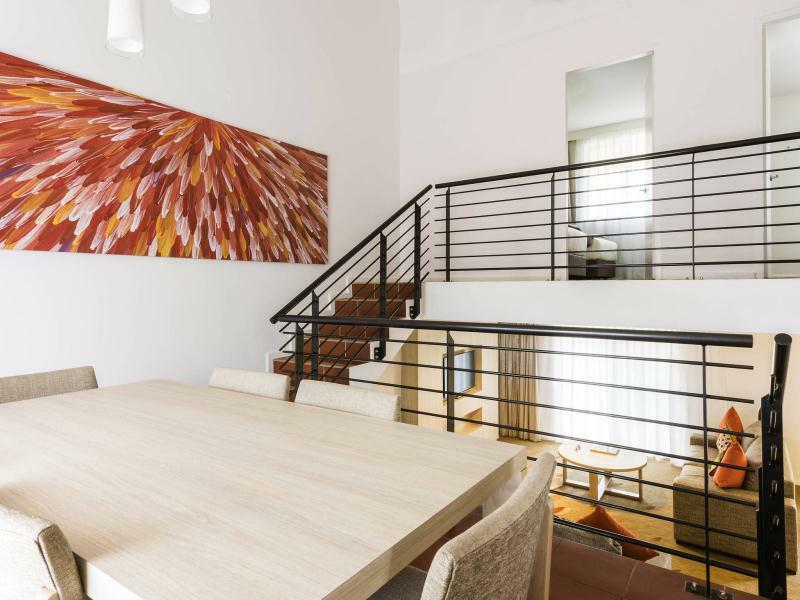 Only 20km from Uluru, Ayers Rock Resort’s Emu Walk Apartments offer the luxury of modern, fully serviced apartments with all the practicalities of home. Emu Walk Apartments offers one and two bedroom self contained apartments making it the perfect choice for families or couples and friends travelling together. Indigenous design elements are showcased throughout the well equipped separate kitchen, living and bedroom interiors. An Indigenous artwork by regional artist Raymond Walters looks over an open dining area. 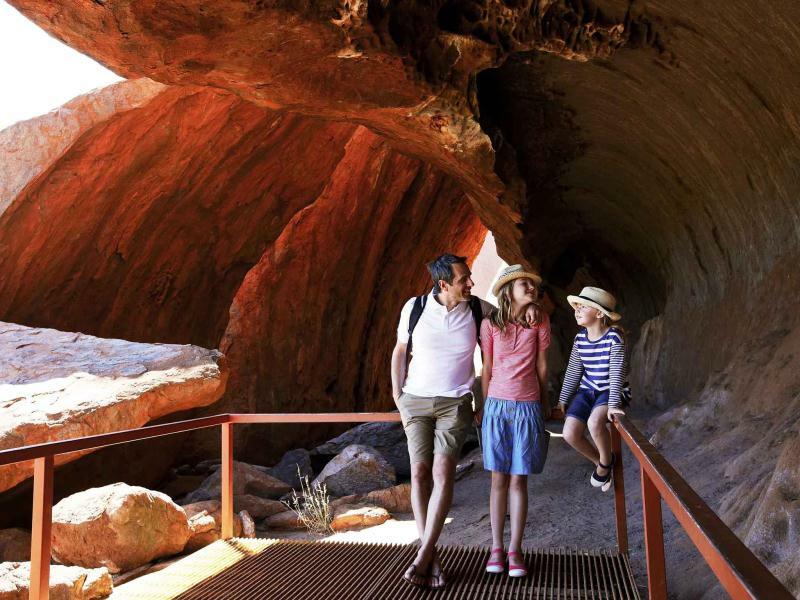 Luxurious bedrooms ensure restful nights after long days exploring Uluru and Kata Tjuta. Multiple bed layouts are available with each bedroom fitted with a flatscreen television ensuring no fighting over the remote. The Apartments are just minutes walk to the Town Square’s supermarket, shops, cafes and the Tour & Information Centre. The remainder of Ayers Rock Resort’s restaurants and bars lie within a short walk or complimentary shuttle bus ride. Special children’s menus and prices are available throughout the Resort. From your centrally located apartment, simply step outside the door and dive into a program of complimentary daily activities. Interested in planning a trip ? For more information and to book your next trip, call us today on (028) 3832 3618, arrange a callback or email us.